The Evolution of Echo: Narcissistic Abuse Recovery Anthology – True survivor stories of triumph and hope. You know what narcissism is, but do you understand what the survivors of narcissistic relationships actually deal with? This is the truth. Attend the party on Facebook on Friday, November 9. Go here and RSVP today. Prizes, giveaways, games and more – fun will be had by all! We hope that by sharing the voices of survivors of narcissistic abuse, you can be inspired to become the healthy, evolving thriver you were meant to be – and maybe, one who will change the course of history by ending the cycle of abuse in your own family moving forward. One person truly can create a difference in the world, but by bringing these amazing voices together in this anthology, we hope to spark widespread, meaningful change that spans generations. 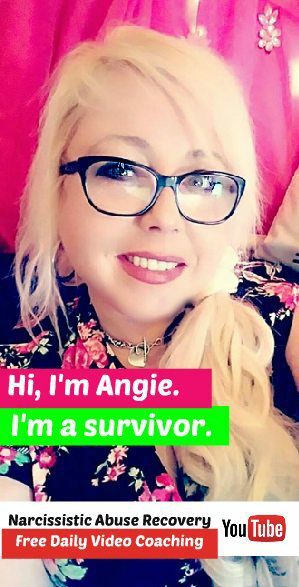 In this anthology, narcissistic abuse recovery expert Angie Atkinson has collected stories of survival from the “SPANily,” a support group of survivors of narcissistic abuse. Inside, you’ll find their true stories, from love-bombing to thriving – and everything in between. Plus, Angie and the SPANily offer their personal advice on how to go from being a victim of abuse to being a survivor and then a thriver. You will find new insights into what it means to heal after the long-game trauma inflicted by narcissists. You are not powerless, dear survivor, and you are not alone. YOU ARE CORDIALLY INVITED TO A LAUNCH PARTY!